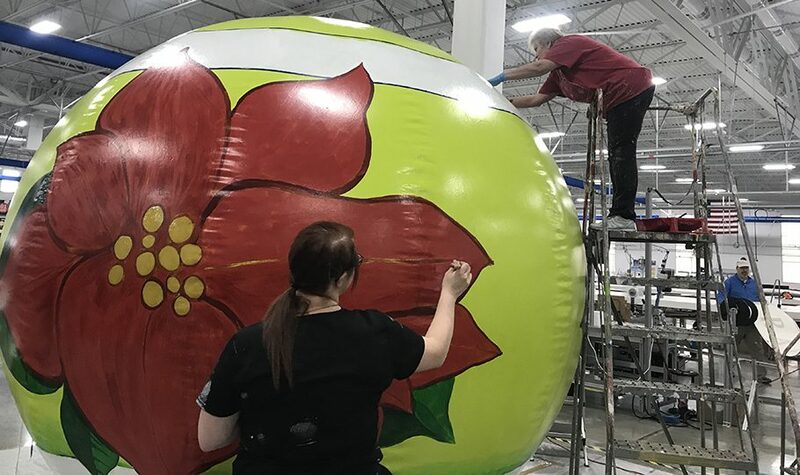 A few months ago, Raven Aerostar produced a large balloon sphere to act as a testing canvas for painting techniques and equipment. The result was a large, bright green balloon that had no further use… or so they thought. 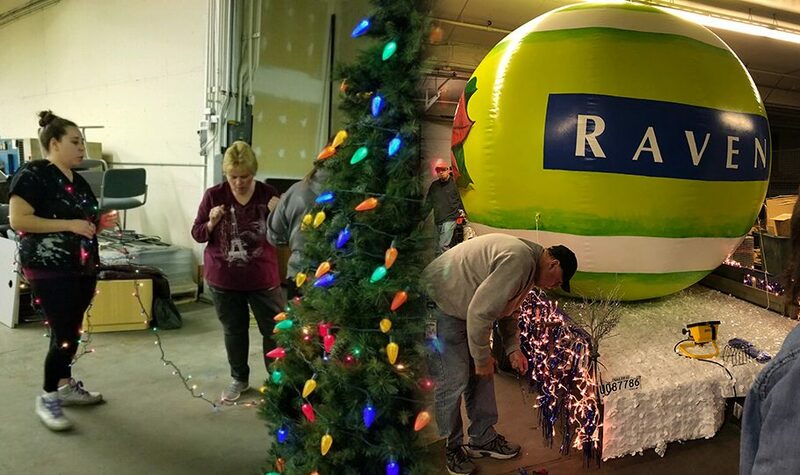 When team members learned about the Downtown Sioux Falls Parade of Lights, they decided it would be the perfect way to represent Raven in the community. Artist Dan Hepner's original sketch of the Raven ornament. Raven Ambassadors Jessica Quinlivan and Laura Smith took the reins of this fun project and went right to work with Raven Aerostar Pre-Production Coordinator Dan Hepner. Dan submitted a sketch of what he thought the balloon could look like. 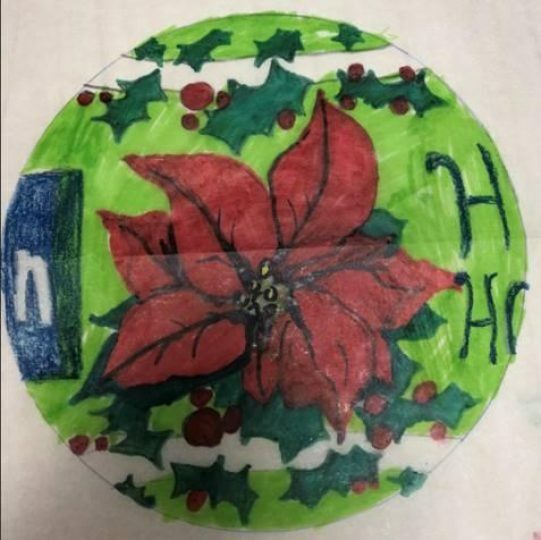 In order to avoid repainting the entire balloon to cover the "Mike Wazowski" green, he suggested painting bright, red poinsettias on each side. He explained the monster-colored background would make the flowers “pop” against the green — and he was right! Raven team members volunteer their time to hand paint the balloon. While volunteering their time, Dan and several other Raven Aerostar team members took his sketch and made it come to life. The transformation from a useless, green globe to a beautiful, over-sized Christmas tree ornament was incredible. With Dan’s artistic idea and talents, the theme “Trimming the Tree the Raven Way” was born. Raven team members deck out the float to fit our theme: Trimming the Tree the Raven Way. To ensure the masterpiece balloon was showcased well, team members and their families lit up a Raven pickup and flatbed. During the week leading up to Thanksgiving, the group spent their evenings painting cardboard ornaments to carry as they walked through the parade, hanging sparkling skirting to the trailer, and lighting up the Christmas tree in the back of the pickup. On Monday, November 19, construction of our float was featured on KELOLAND News. On the evening of Friday, November 23, the Raven float made its way down Phillips Avenue with enough lights to put Clark Griswold to shame. 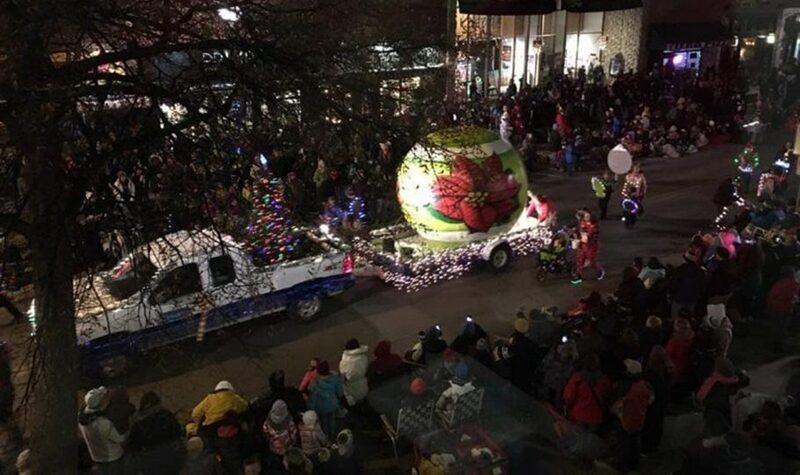 This year's Parade of Lights saw a record number of floats, and we were proud to be a part of this tradition within the Sioux Falls community. Thank you to all team members who volunteered for your hard work and talents, making the float a fun, beautiful success!